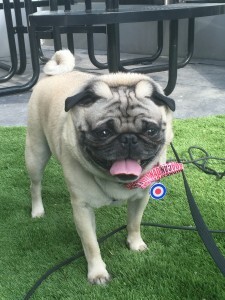 You may recognize the handsome pug Fishstick from Talent Hound’s Rescues Rock TV episode. That is where he got his first big break in showbusiness. Now he’s back starring in the new comedy series Backseat Barkers. Fishstick is a small pug with a big story to tell. Once in a foster home, now the talented dog struts down red carpets and makes celebrity guest appearances at Woofstock. He is always greeted by his adoring fans who love to snap pictures and shake paws with him. Fishstick really can rock a runway; it’s hard not to fall in love at first sight with his charismatic personality and big brown eyes! 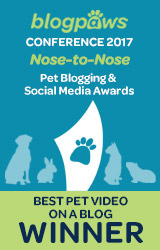 Fishstick was recently interviewed by the team at Petguide.com, sharing exclusive tidbits about fame, love, and overcoming life’s hurdles. We had a ton of fun on set, and Fishstick was a natural in the hot-seat. This pug was born to be on camera! Fishstick loves that he can be an advocate for the sweet dogs that are in shelters ready to be loved by the right human. Fishstick’s rescue rags to riches tale is both heartwarming and inspiring. One of our mission’s at Talent Hounds is to promote adopting rescues and to highlight their many talents. Fishstick currently lives in Toronto with his loving family, but he didn’t always live such a glamorous life. Fishstick Loves All the Attention! Tim, Fishstick’s dad and trainer, told us his story. Like many Rescue Dogs, Fishstick’s past is a bit of a mystery to us. 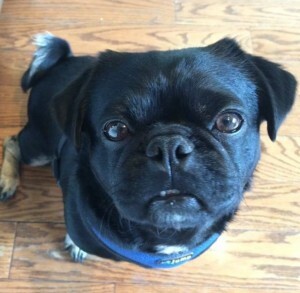 When his original family turned him over to Pugalug, The Toronto Pug Rescue, all they were told was that they wanted him to go to a new family who could give him the attention they felt he needed. That’s when he came to our attention. We had never owned a dog before but we started looking for a rescue pug in particular due to the influence of a wonderful pug named ‘Marvin’ who lives right across the street from us. We spent more and more time with Marvin and his wonderful owner and it got to the point where we would be ‘borrowing’ him for walks and play dates. That’s when we realized we wanted a pug of our own. 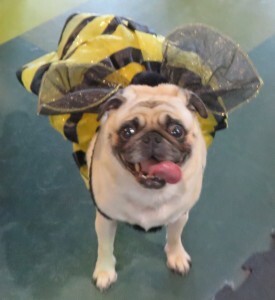 After agreeing that a Rescue was the only way we wanted to proceed and after research online, we found that there was a Toronto Pug Rescue organization (PugALug) and on the website was a wonderful set of pics and little write up about this cute young pug who was in Foster care. We instantly fell in love with him and prepared our application that very day. 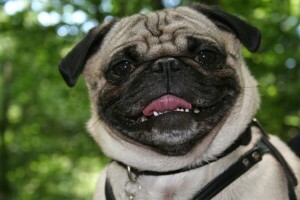 The Rescue’s policy is that only when a pug is ready to adopt could we submit an application. Between us we checked the website about every ten minutes for about two weeks until the fateful day that he was ready to adopt. We got a call from his Foster mom later that week asking if she and the dog could come and visit. We arranged a Saturday get together and upon their arrival, the little fellow came into our home and immediately jumped up into my partner’s arms melting her heart and mine instantly. The next few hours were absolutely agonizing. We had no idea if he was going to visit other people or if there would be competition for him. After what seemed like an eternity (only actually a few hours! ), we got a call from his Foster Mom – he was ours if we wanted him and we absolutely DID want him. The next morning we drove to get him, and took Marvin in tow with us. Since that Sunday there has not been a single day where he has been separated from us. And that is how it will be from here on out. Since then we always give him the attention he wants and we work hard to give him an enriching life. He goes to High Park here in Toronto on weekends where he runs the trails and hangs out at Dog Hill. 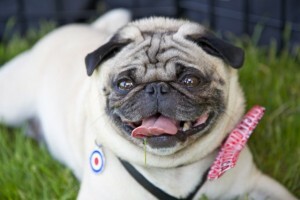 He goes to the monthly ‘Toronto Pug Grumble’ and to events like Woofstock to meet up with his fellow pugs. 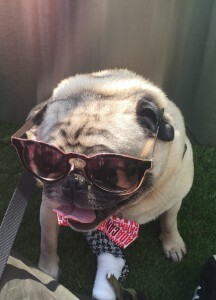 He even gets to hang out with celebrity Pugs like Doug the Pug, pictured with Tim at Woofstock and his co-stars Lottie and Jess on the red carpet. 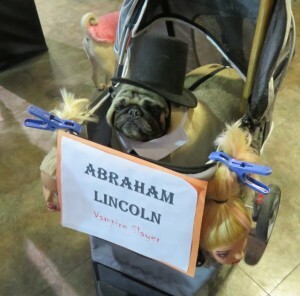 Most importantly we make sure that Fishstick gets to go to just about every fundraising event and meet-up that Pugalug Pug Rescue hosts: from ‘Pug-entine’ to ‘Pug-mas’ to (our favourite) ‘Pug-o-ween’. Fishstick was just turning two years of age when he came into our lives in 2012. Now he’s almost 6 and a half. We are looking forward to having him in our lives for many years ahead and we hope that the work he is doing with Susan and Talent Hounds will help convince people that Rescue Dogs should not just be an option, they should always be the FIRST option anybody looks into when they are thinking of bringing a Dog into their homes and families. 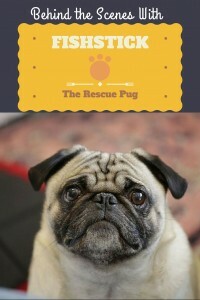 I have admired PugALug Pug Rescue for years now and really love to support them in their efforts. The group of volunteers is committed to helping rescued pugs by providing medical care, love, fostering, comfort, food and companionship. The dog rescue organization helps bridge the gap between a pug’s past life and its future forever home. It’s their love and dedication that allows so many pugs not only find a forever home but adjust to a new life seamlessly. 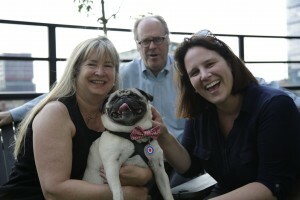 The group is at many dog events around Ontario and are always happy to share stories and tips for owning a pug. 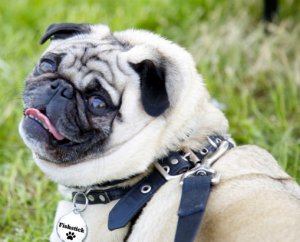 PugALug is able to fund the fostering, medical needs and rehoming of pugs and pug mixes solely through donations provided by generous supporters in the community. 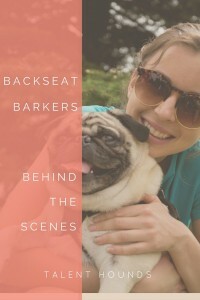 Susan and I plan that some revenue from the Backseat Barkers project will go to PugALug if successful and we will also work to build awareness. 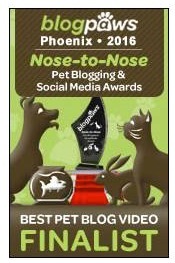 They are an amazing group who work hard fighting for pugs in need. 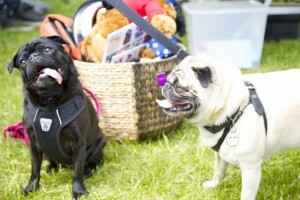 They also happen to throw fun parties to help raise money and awareness, and to celebrate the pug dog breed. If you would like to make a donation to help PugALug visit their website. You can make a secure donation by clicking the links at the top of this page for PayPal or CanadaHelps. Tax receipts will be provided. If you would like to make a donation in another manner, email otherdonations@pugalug.com. A pet is a life commitment that should bring you joy, love and lots of fun. Pugs make wonderful pets but do require lots of work. 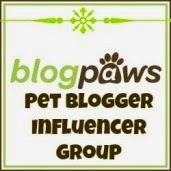 Talk to breeders, rescues and other owners who can share their experiences with you too. We have included anecdotes and tips from community members about their dogs in our handy BREED LIBRARY. 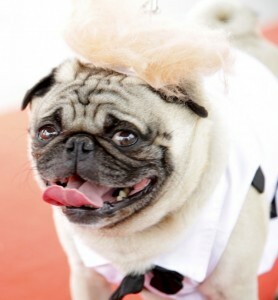 We also have a fun BREED QUIZ you can try to see if your match with the “party pug” like me. 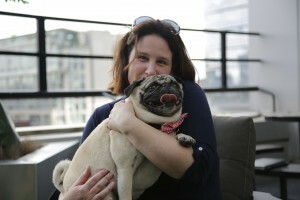 I fostered then adopted my pug Kilo through Homeward Bound Rescue. Fostering a dog can be just as rewarding and helpful for rescue groups who are looking for homes to place newly rescued dogs in while they find forever homes. You can also follow Kilo the Pug on Instagram and Facebook.